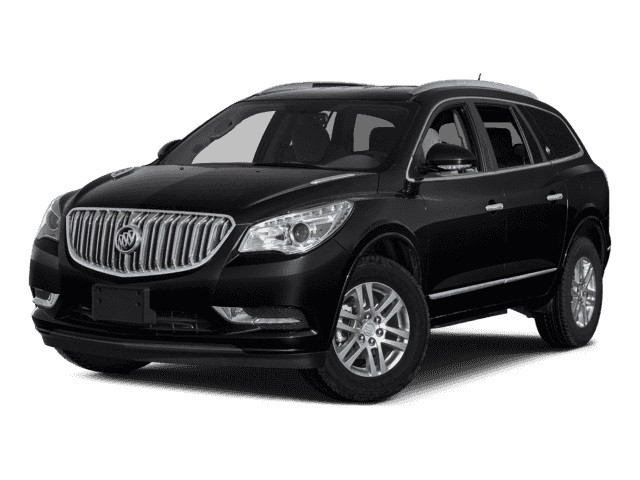 The vehicle you’re looking for when you want to have the drive you’re looking for is the Buick Enclave that you can lease and enjoy on the roads in the Menomonee Falls, WI area. This is a vehicle that has the seating you’re looking for so that you can carry the entire family along for the drive. With this vehicle you’re going to have the drive you’re looking for that offers you the comfort and features that make a huge difference for you on the drive. As you take a look at what the Buick Enclave offers you’ll want to enjoy the lease offers that you’ll find at Ewald Chevrolet Buick in Oconomowoc, WI. This is the dealership that offers you the drive you want on the roads in Menomonee Falls, WI. Come in and take a look at this SUV and admire the new powertrain and the features offered. That powertrain uses a 3.6-liter V6 engine that offers you 310 horsepower and 266 lb.-ft. of torque while being attached to a nine-speed automatic transmission to give you the ability to have 18 city/26 hwy mpg in FWD models and 17 city/25 hwy when you choose AWD. There are three basic trim levels and the Avenir model for you to enjoy when you want to drive this impressive SUV. At the base model the Buick Enclave you lease for the drive in Menomonee Falls, WI includes items such as keyless entry, push-button starting, a hands free power programmable rear liftgate, tri-zone automatic climate controls, a universal home remote, six USB ports, On Star with the 4G LTE Wi-Fi hotspot, Apple CarPlay, Android Auto, a rearview camera, rear parking assist, seven airbags, the Teen Driver feature, and the rear seat reminder. The Avenir is the top trim and it’s in a class all its own with the ride on 20-inch wheels, leather upholstery, heated and ventilated front seats, heated second-row seats, a 360-degree surround view camera, a rearview mirror camera, and a dual moonroof. Options you can add to the Buick Enclave you want to lease and enjoy on the roads of Menomonee Falls, WI include items such as a navigation system, an upgraded Bose sound system, adaptive cruise control, forward automatic braking, a premium adaptive suspension, heavy duty cooling, and a sport model to make sure you can have the drive you want. Make your way to the Ewald Chevrolet Buick dealership in Oconomowoc, WI so that you can find the right Buick Enclave model to lease. This dealership is only a short drive from your home in Menomonee Falls, WI to make sure you can have the SUV with the size, features, qualities, and performance that makes a difference for you to enjoy the ride on the road. Come in and take one of the Enclave models out on the roads for a test drive and let it be the right choice for you.